Over the weekend thousands of Iranian Revolutionary Guards (IRGC) Troops crossed into Iraq and attacked Iraqi Kurdish villages. 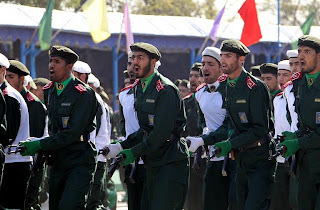 According to an article by Kenneth Timmerman in Newsmax, the Revolutionary Guards are targeting basis for Free Life Party of Kurdistan (PJAK), a Kurdish/Iranian opposition group currently operating in Iran. According to this news article PJAK guerilla fighters confirmed the death of 108 Revolutionary Guards while 200 more were injured during the attacks. Seven PJAK fighters also lost their lives. While the Revolutionary Guards were busy invading Iraq and attacking Kurdish activists, Iraqi Prime Minister Nouri al-Maliki and the Prime Minister of the Kurdish Regional Government Dr. Barham Salih left for China to encourage Chinese investment in Iraq. It is not surprising that the Iraqi Government has remained silent in the face of these attacks, what is surprising is the silence of Iranian opposition. If there was ever a time to be outraged and to speak out this is it. 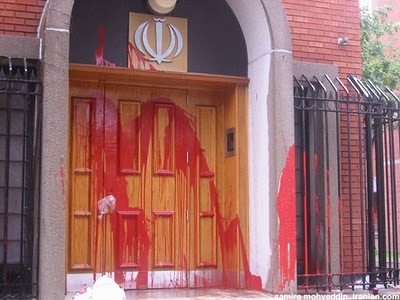 Once again the Islamic Regime has taken it upon itself to cross borders and attack an opposition group in a desperate attempt to defeat and silence them. If we as Iranian opposition and activists remain silent today there is no telling what the Regime will do tomorrow and who it will attack next! I urge all opposition groups and independent activists to take a strong stand against these attacks, in order to prevent the Regime from carrying out such attacks in the future. The twelfth anniversary of 18 Tir (July 9th 1999) the Iranian pro-democracy uprising that shook the Islamic Regime for six days is fast approaching and once again activists in Iran and abroad are getting ready to mark this day with worldwide protests. While 18 Tir protests were trigged by the banning of a reformist newspaper “Salam’, the protests quickly escalated into a six day anti-government demonstrations which sought to overthrow the Islamic Regime in its entirety. While the students had started the protests, soon Iranians from all walks of life joined in the fight against the government and shook the Regime to the core. What is most significant about 18 Tir is the fact that this was the first time in 20 years where Iranian people came out in overwhelming numbers to fight against the government and for democracy in Iran. While the pro-democracy movement in Iran had been active from the very beginning of the revolution, this was the first time ever people came out in such significant numbers and attacked the Regime publicly and in the streets. Regime was shocked and scared and handled the situation in the only way it knew how, by arresting and torturing thousands of students and activists, and sentencing them to long imprisonment terms. At least one student Ezzat Ebrahim Nejad was shot to death by Regime agents while protesting, but the number may be much higher. Among those arrested and falsely charged with “risking national security” was Akbar Mohammadi a student who was arrested and sentenced to death for his involvement in the peaceful demonstrations. Due to overwhelming international pressure his sentence was eventually reduced to 15 years of imprisonment. Unfortunately Akbar Mohammadi died under very suspicious circumstances in August 2nd 2006, in the notorious Evin Prison while he was on a hunger strike. Many believe that he was murdered in prison because he would not give up his fight against the Islamic Regime under any circumstances. 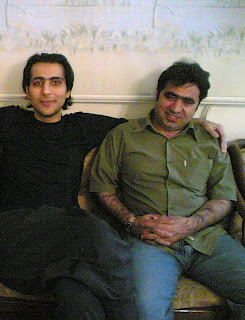 Another note worthy activist who was arrested during 18 Tir was Behrouz Javid Tehrani, a student activist and the only remaining political prisoner from July 9th 1999 pro-democracy demonstrations. Mr. Tehrani has spent most of the past 12 years in Islamic Regime prisons because he also refused to stop his fight for democracy and freedom in Iran. On 18 Tir we remember Ezzat Ebrahim Nejad, Akbar Mohammadi, Behrouz Javid Tehrani and thousands of other activists who have lost their lives in the fight for a free and democratic Iran, or who have spent the best years of their lives in Islamic Regime dungeons to create a better Iran. The pro-democracy movement in Iran which showed its teeth during the six day 18 Tir Protests continues today and is arguably stronger than it has ever been. While twelve years ago we did not hear the slogan of “down with the Islamic Regime,” we hear it today in Iranian streets on a regular basis. It is the responsibility of each and every one of us to remember and to continue on this path until the Islamic Regime is overthrown and we have a free and democratic Iran. 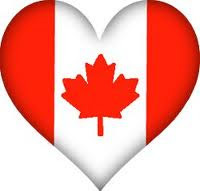 Wishing everyone a very happy Canada Day!